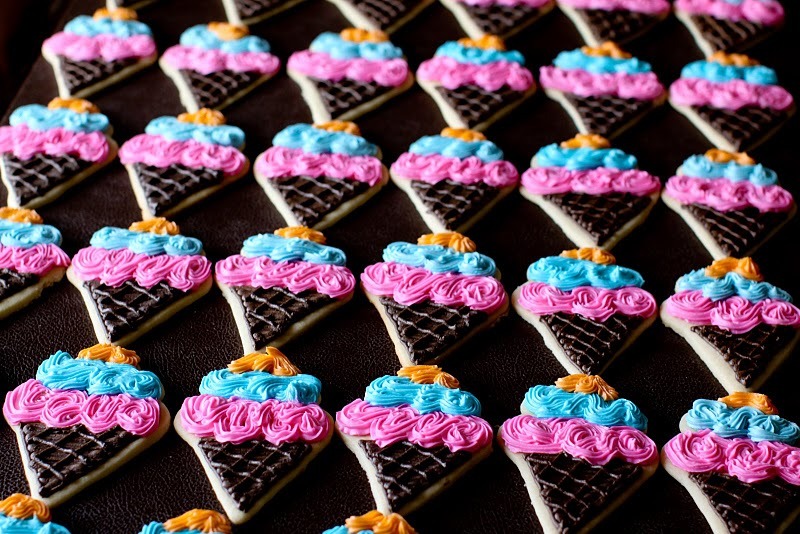 I don't remember how I first stumbled upon Jenny Cookies website, but after I found it I couldn't stop looking at all the beautiful cookies. 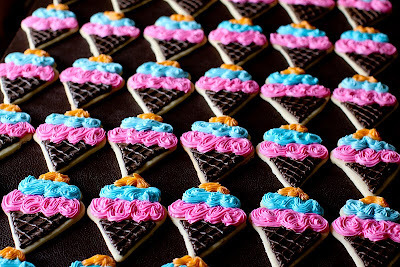 This week she featured Ice Cream Party cookies. Good for us, she placed cookies on top of some cupcakes. I wish I was going to this party. 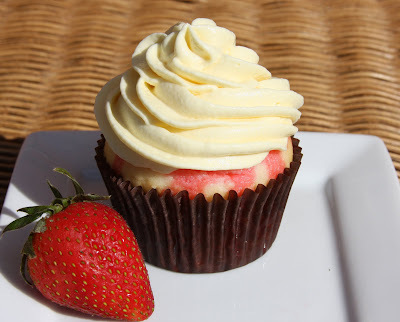 Cupcake Crazy Gem has posted her Top 10 Favorite Frostings. From Coconut Seven Minute Frosting to Classic Cream Cheese, you can find it here. What's your favorite kind of frosting? Shipping a cupcake is impossible. Right? Wrong! You just have to be creative about it. I'm always on the lookout for new and clever ways to ship cupcakes. Two years ago I highlighted Beantown Baker's way of cutting cupcakes in half and shipping in mason jars. Last year Yummy Cupcakes took this one step further and layered the cupcakes in the jars. 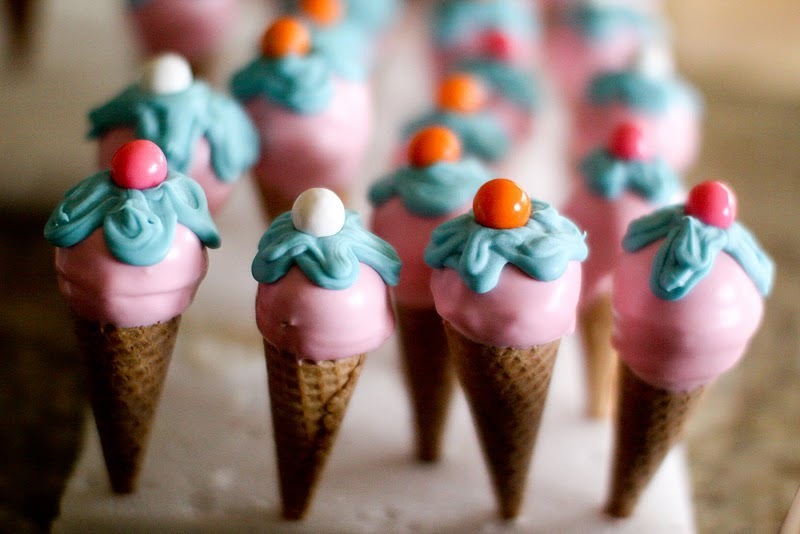 This year's idea incorporates a new cupcake trend: push pop cupcakes! 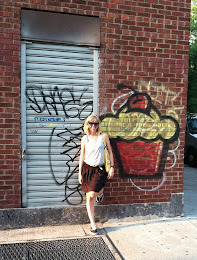 My friend Kristin was the first person I saw with push pop cupcakes called: Push Cakes. Now everyone is making push pop cupcakes, including Cupcake Project. She uses push pop holders from CupKatesEventDesign to ship her push pop cupcakes. Because the holders can be sealed, the cake and frosting stay inside. She recommends packing the holder tightly so they will have less room move around. She also says, "worry less about presentation and more about volume and flavor." 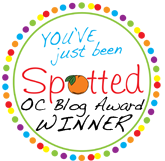 I've been hearing about the awesomeness of Frosted Cupcakery in Long Beach for years. Long Beach isn't that far, so why haven't I been there yet? Answer: I didn't know, I just didn't know how great it would be. About six months ago I bought a Groupon for Frosted Cupcakery. I figured that would finally get me into their shop. Well, it did, but two days too late. My Groupon had expired, but Frosted Cupcakery accepted it for the face value. Instead of getting 6 cupcakes for $9, I got 3 cupcakes. At least it wasn't a total loss. My husband and I were on our way back from the Toyota Grand Prix of Long Beach when we decided to stop by. Luckily, Frosted is open late (until 9pm), so they still had plenty of cupcakes when I popped in. Although Frosted Cupcake is famous for their ice cream cupcakes, all I had was my Groupon (no money), so I picked a few of the regular popular cupcakes. But I certainly wasn't disappointed. Did Frosted Cupcakery live up to its reputation? I can happily say YES! The cake on all three cupcakes was moist. The frosting was thick and creamy, just the perfect buttercream and cream cheese frostings. Some shops just know how to make perfect frosting. The proportion of frosting of cake was spot on. I also liked how Frosted cupcakes have a little more than a normal cupcake. The red velvet had a chocolate candy on top, the nutella had a nutella candy on top, and the chocolate caramel toffee had toffee rolled around the edges. Each of these distinguishing additions made the cupcakes a little more special. They weren't just pieces of cake with a dab of frosting, they were edible works of art. All I know is I HAVE to go back so I can try more flavors and taste their ice cream cupcakes. Frosted Cupcakery is the only cupcake shop I know of that sells ice cream cupcakes. I would highly recommend Frosted Cupcakery because of the their delicious cupcakes, the wide selection of cupcakes available, and their reasonable prices (cupcakes are $2.95 each). 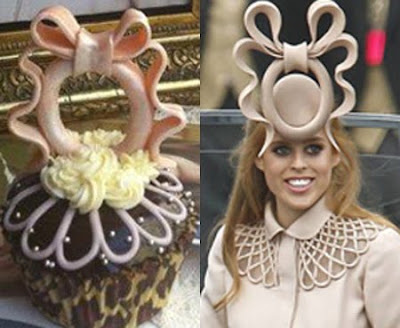 Have you Heard of PopsyCakes? I heard about PopsyCakes first on All Things Cupcake. Still wondering what a PopsyCake is? It's a cupcake on a pretzel stick. At first I thought, well, this is just a spinoff of Cake Pops. And everyone seems to be coming up with their own versions of cake pops. But then as I thought about it more, I realized that PopsyCakes take cake pops to a higher level. 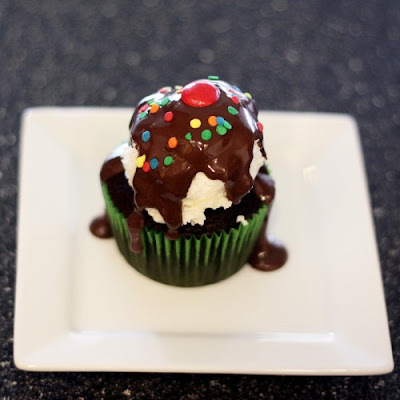 "PopsyCakes are gourmet, handmade cupcakes smothered in imported Italian chocolate, placed on a crispy pretzel rod." 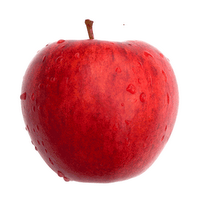 The characteristic that makes these treats different is the combination of sweet AND salty. This is definitely my kind of dessert. PopsyCakes are available in five flavors and can be purchase by the half ($30) or full dozen ($50). I think the Strawberry Milkshake sounds the most intriguing. PopsyCakes are available for purchase through their website. Is That Real Ice Cream? When I first glanced at these cupcakes from Love From the Oven I thought they had real ice cream on top. The second time I looked at these cupcakes I thought they had real ice cream on top. After finally reading the whole post, I finally got it! Check out the tutorial on Love From the Oven on how to make these Ice Cream Sundae Cupcakes. I love them! 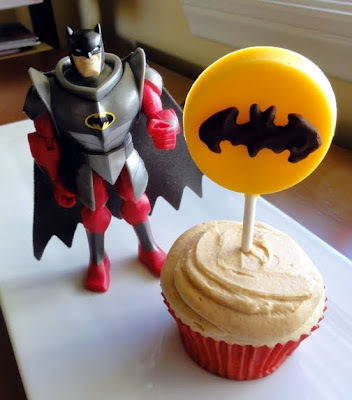 After posting about Batman Lollipop Cupcakes on Monday, I got an email from Lyndsey at One Charming Party with another superhero cupcake idea. 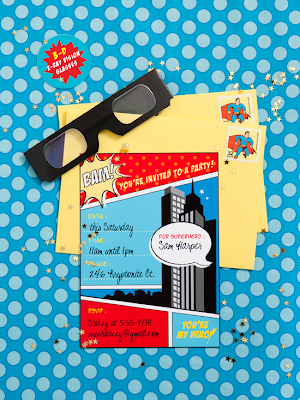 And let me tell you that I'm absolutely in LOVE this Superhero Party!! 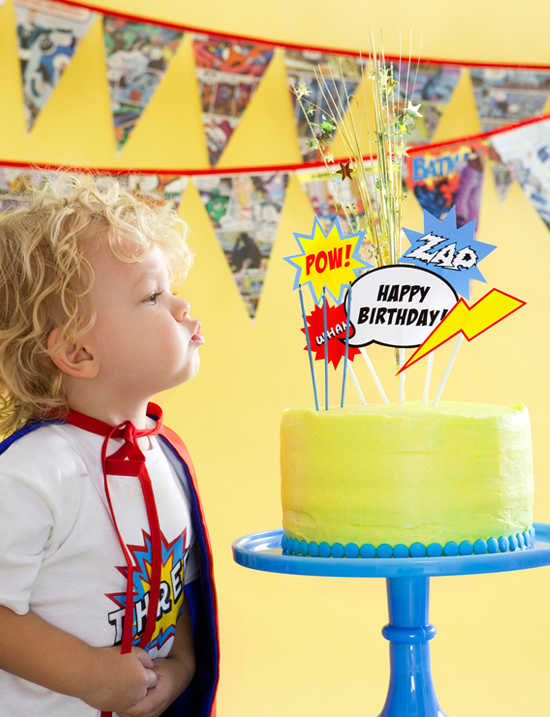 One Charming Party sells party plans which are downloadable pdfs, which have over 50 pages of tutorials, party instructions, and gorgeous photos. It also includes a printable pack with 3D invitations, thank you cards, cake toppers, and iron-on shirt graphics (for the superhero party). Each party plan sells for $25. Awesome idea! A party wouldn't be complete without cupcakes, right? 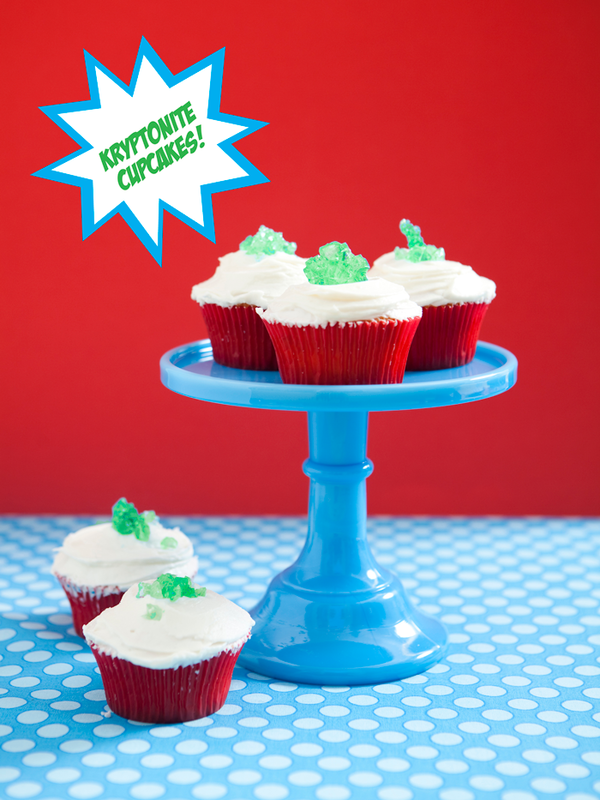 So how about kryptonite cupcakes for this superhero party. I love it! Although I don't have any kids yet, maybe I need to plan a superhero party for my big 3-0 this year. Yikes! Blogger had a big crash on Wednesday and many, many posts were lost. Not just me, but lots of bloggers. Although it looks like I've been lagging on posting, they have been erased. Ugh! Hopefully everything will be back to normal after the weekend. 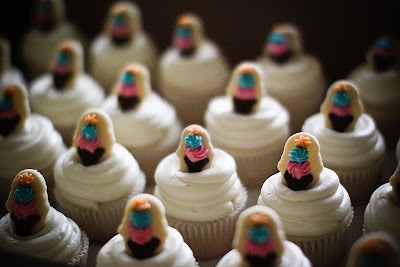 Have a great weekend and enjoy some cupcakes! Some people (my husband) grew up eating Golden Spoon and love it. My family was a Baskin Robbins kind of family. So the other night when we were looking for dessert and all of the Baskin Robbins were closed, we ended up at Golden Spoon. My husband is trying to convince me that it's better than froyo, but I'm just not on board. BUT I was excited to see them advertising a new flavor -- Cupcake! What does Cupcake taste like? Well, cake batter. I was a little unimpressed, but not too surprised because how could you squeeze all of the wonderful flavors of a real cupcake in frozen yogurt? Have you tried it? What do you think? Growing up I was a HUGE Batman fan. I watched the cartoons, saw all the movies, had Batman logos drawn on everything, and my AOL screen name was even Batgirl. I'm turning 30 this year (yikes!) and I'm still a HUGE Batman fan. Can you blame me? The new Batman movies are amazing! So when I came across these Batman Lollipop Cupcakes, I couldn't wait to share them with you. justJenn recipes gives us the info on making these awesome Batman Lollipops to go with your favorite cupcakes. KAPOW! How come I have never heard of these before? Coming from a family that had Jello at every holiday, I'm surprised these never made it on the menu. 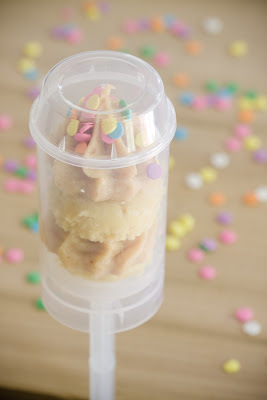 Jello Poke Cupcakes from Me and My Pink Mixer sound like a great homemade treat. 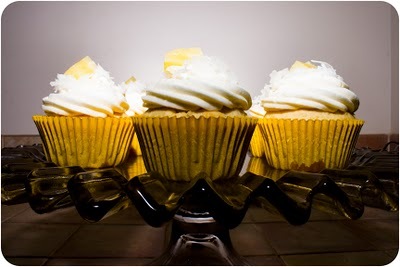 The cupcakes are made with a white cake mix and are baked according to the directions. Then the fun begins! After they have cooled, poke about 6 holes in each cupcake. Then pour or squeeze Strawberry Jello (prepared, but not refrigerated) into each hole. Place the cupcakes in the fridge to cool for a few hours. Add frosting. I have to try these to find out what I've been missing. You can find the full recipe on Me and My Pink Mixer. 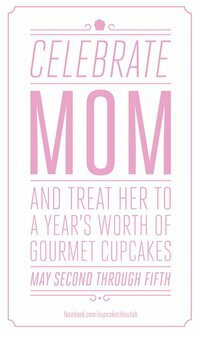 In honor of Mother's Day, Cupcake Chic in Orem, Utah is holding a contest to win a year's worth of cupcakes. Who wouldn't love that?! This contest celebrates the mom in your life, so to enter you need to upload a photo of your mom on Cupcake Chic Utah's Facebook page. 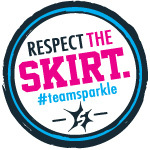 This is the perfect contest for Cupcake Chic since they are a mother-daughter owned business. I wish I could win because I love Cupcake Chic's cupcakes. Good luck Utah friends!